Welcome to the website of Mid-Atlantic Window Tinting. We are your number one source for South Jersey residential window tinting. We have been providing guaranteed and top quality tinting to South Jersey residents and businesses for over two decades to thousands of happy customers. Mid-Atlantic Window Tinting is fully insured and we have met all of the regulations necessary for all sizes of residential and business spaces. We use the finest quality films from only the best vendors and offer films from clear to blacked out for all your tinting needs. If you have a home on our beautiful Jersey Shore, our tinting services on skylights and sunroofs will greatly improve the look and efficiency of your space. Fade protection – Sun glare from the outdoors can cause fabrics and hardwoods to fade and lose their color. Our films can protect your indoor furnishings from up to 99% of the sun’s UV rays. Reduced heat – The heat from the sun bearing into the window creates an uncomfortable room and makes your air conditioning work harder. A tinted film reduces the temperature in a sunny room and reduces energy costs. In the winter, a protective film can help keep internal heat from escaping. Reduced glare – The glare from the sun can make for an annoying and uncomfortable experience in your rooms. A tinted film from Mid-Atlantic will make your space more peaceful and charming. 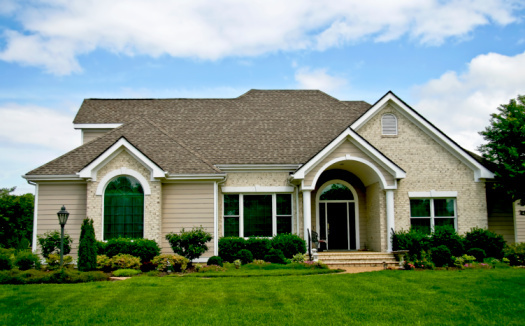 Increased security and safety – A glass film from Mid-Atlantic can create a strong barrier from burglaries and vandalism, and can be made shatterproof to protect against hurricanes and wind damage. Mid-Atlantic stands behind their work with a lifetime warranty against film adhesion failure. You can rest easy knowing your windows and home are protected from the elements. Thanks for taking the time to visit our site. We hope you’ll see that we’re a solid choice for South Jersey residential window tinting. Call or e-mail us today and let us create a new look for your home!